And here is my card! I used patterned paper along with a Northwoods Rubber Stamp Co image. I also popped up the hat on dots for some added dimension. 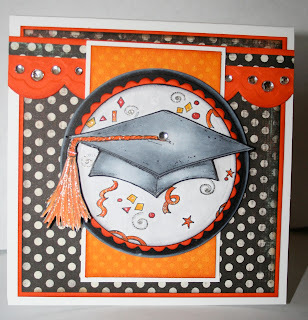 I used various Spellbinder dies as well as their "edgeabilities" dies....which I am just loving! I also added some bling to this card over the border as well as some twinkle pen to the image. I like this sketch and think it worked really well for this type of card. I am using all the different sketches that I can find to get me through another grad season! I hope you don't get too sick of the various grad cards that I will have on my blog....I am always trying to find a new way to present an old (and for me) and tired theme. 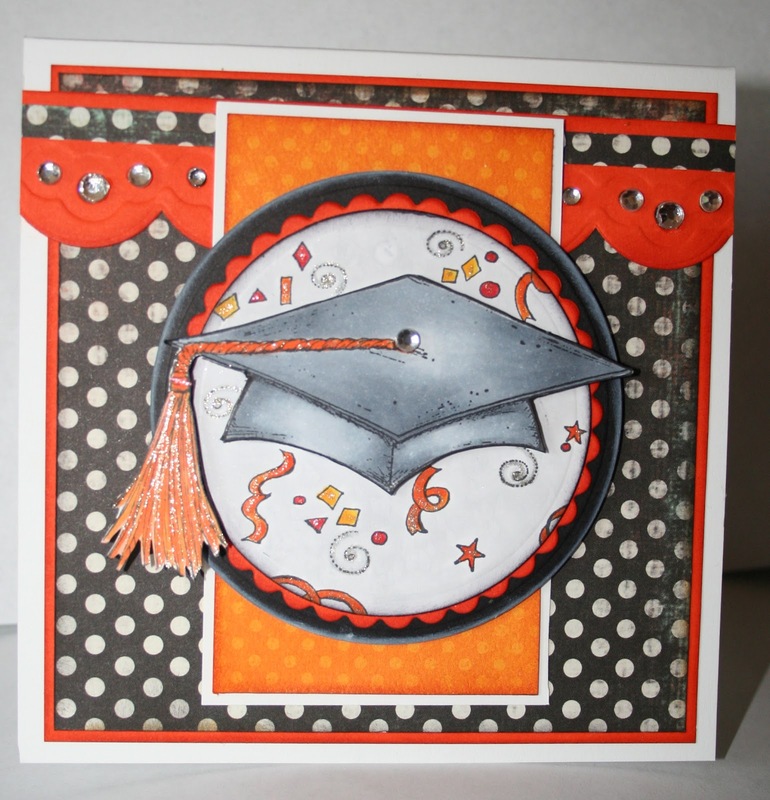 I think I have never made as many similar cards as I have black and orange PHS grad cards! Do you have any sort of card that you have been required to make over and over again? Take care and enjoy your day! It is just lovely in P-Town today! great card Sheila. These are great to view, but if you make so many, I can see they would get hard work. The school has great colours in black and orange. Orange & black is big near me, too--the University colors. I actually made Christmas cards in their colors to sell at the office bazaar a year ago. Great idea to use Halloween papers & this card is wonderful! I feel the celebration packed into this design! Great layout and colors!